Well, what a whirlwind! 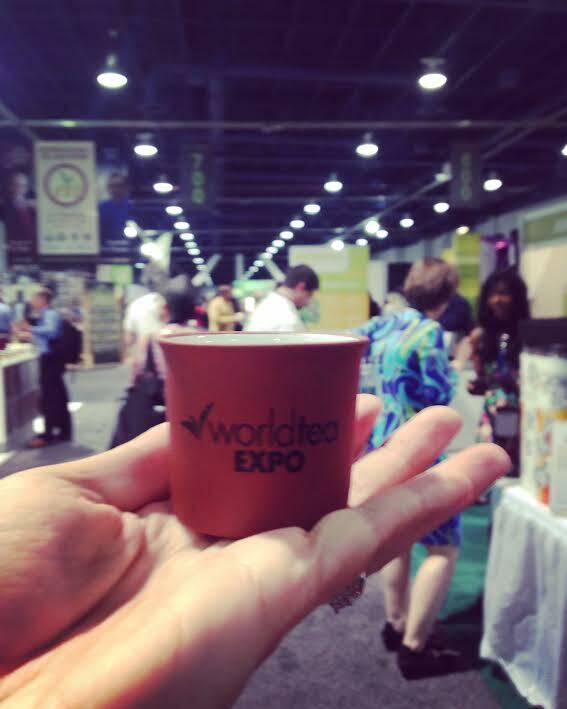 My brain is still processing 3 full days of exploring tea and chatting with amazing tea folks at World Tea Expo. I had no idea what to expect other than: "the days are hectic", "you will not have time for lunch", "you WILL be tea drunk" and "you'll need a sweater". These turned out to be important truths. Even after packing all my stuff, including snacks and a sweater, I was preoccupied. Anxiety is in my blood; I come from a long line of worriers. It's usually my go-to emotion, especially when things are unknown. Anxious electricity filled my stomach in the days leading up to departure. But as usual, I had nothing to worry about. My first expo was a bit overwhelming but the kindness of my fellow bloggers and tea friends made all the difference. It was an incredibly memorable experience. I tried to soak in as much as possible, and as I said, I'm still sorting through the memories. I thought I'd posts by the separate days that encompassed my adventure at World Tea Expo. This post is the 'pre-expo' summary, basically 1/2 a day in Vegas. My tea adventure started before I boarded the plane. 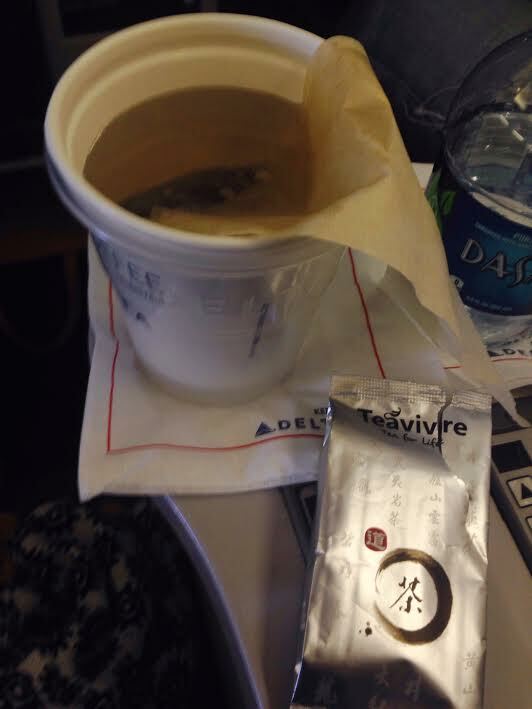 Tea on an airplane is a painful experience. Not just because of the tea they serve- it's the water that ruins the party. I don't know much about the behind-the-scenes of airplane cuisine, but that water tastes terrible. Wherever it comes from, it always ends up tasting like dishwater. So, since I couldn't bring in my own water from home, I decided to take an empty thermos and try to beg for hot water at one of the airport cafes. This proved to be easy to do and I had a full thermos of hot water simply by asking for it. The trickier part was just getting a cup on the plane. When asked if I wanted a drink, I said 'just a cup for tea, I have my own water and tea leaves'. The flight attendant looked at me like I had three heads. To her credit, she quickly regained her composure and asked again what I wanted. I explained again and she got it- I ended up with the right cup, and tea was served. I put my leaves in a refillable tea bag, although I probably would've gone grandpa style. I was worried that the flight attendant would want to clear the cup and take the perfectly good leaves away before I was finished with them. So with a little planning, I had a nice roasted oolong and it helped keep me calm for the whole flight. After landing, I ran into Jo J. in the airport. It was comforting to see a familiar face after walking through the noise of airport chaos and slot machines. Arriving at my hotel, I decided I'd have a quiet evening to gather my thoughts and prepare for the start of the expo the following day. My inner introvert needed some time to prepare. A few minutes later my phone pinged and I noticed a message in our blogger group. Linda Gaylard was wondering if anyone was free for dinner. I hadn't met Linda in person, but we've chatted online before and I knew it would be nice to get to know her one on one. We agreed on a time and place, and off I went to meet her. We had a lovely dinner that was relaxing and convivial. I enjoyed chatting with her in person, and learning more about her career in tea. If you haven't checked out her book yet, it's a must read for any tea enthusiast. As dinner wound down, we of course asked the server about tea options. We exchanged amused glances over the selection of 'umm, we have an English breakfast...mint... a green, Oh! And an Earl Grey'. I think it's too light to be rings of a coffee mug. It must be tea! I took this as a very good sign for the days ahead of me. 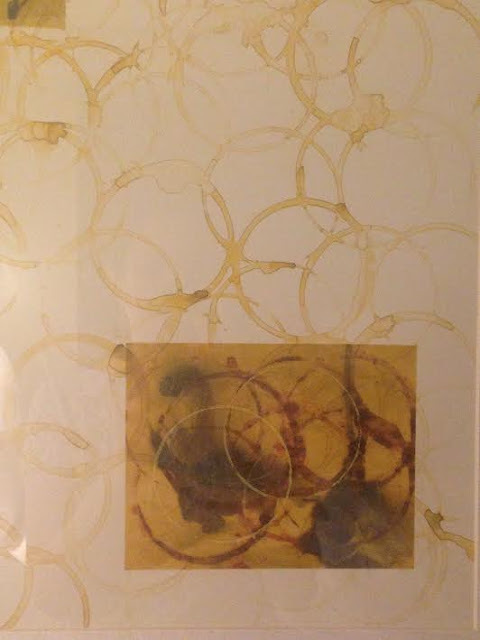 If there is a painting made of tea in my ridiculously garish Las Vegas hotel, then there is lots of good to uncover in this town. This turned out to be true, as you'll see in my next few posts. Such a pleasure to meet you and spend time with you. Likewise, Rachel! You helped to make my experience so special! I enjoyed our time together. Wish we lived closer to each other!